The Pickens County Republican Primary is rapidly approaching. The county’s 61-voting precincts will be open from 7am to 7pm on Tuesday, June 14, 2016. In South Carolina, we do not register to vote by political party. 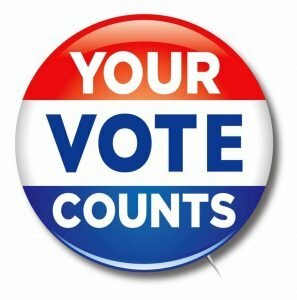 The primary is open to all registered voters of Pickens County. Be sure to come out on June 14th and vote for your favorite candidates! The offices you will have on your ballot will depend on the area of the county you live in. 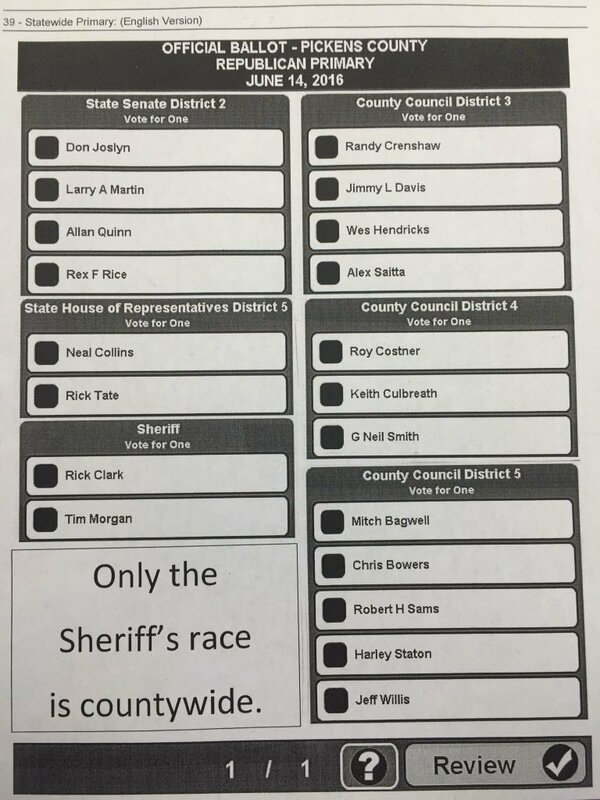 Only the Sheriff’s race is countywide and will appear on everyone’s ballot. The primary on Tuesday, June 14th will likely decide who will ultimately be elected to these positions, as the Republican nominees will be running unopposed in November unless a petition candidate or write-in candidate steps forward in the coming months. Please note: There will not be a Democratic Primary this June because no Democratic candidates filed for local offices and Democratic candidates running for US House of Representatives District 3 and US Senate are running unopposed.